Today, Ron and I went to a local pumpkin patch and picked pumpkins. 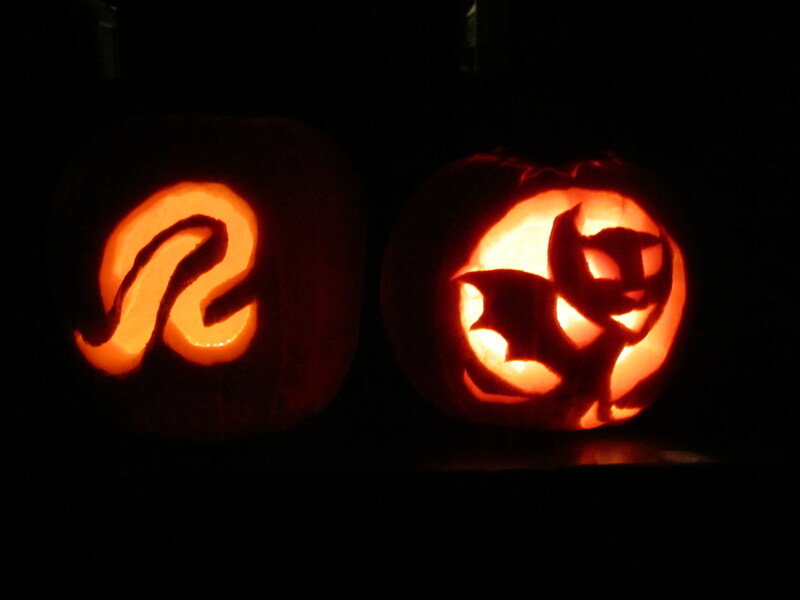 Tonight, we carved them. I made the cat bat and he made the Redskins logo. I haven’t carved a pumpkin in years. To be honest, I really don’t like the goop. From childhood on, I’ve never enjoyed having dirty hands. I didn’t like playing with Play-doh when I was younger because it made my hands stink. It’s a quirk. So scooping out pumpkin guts isn’t on my list of fun things to do, but I actually really enjoyed it. And, my cat bat turned out pretty good as did his Redskins logo.